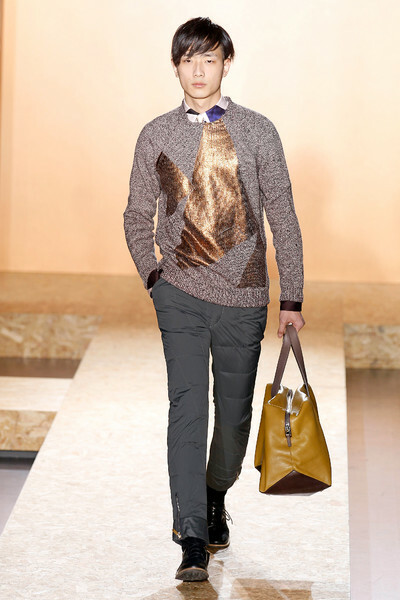 Who says fall collections have to be all about brown, grey and black? 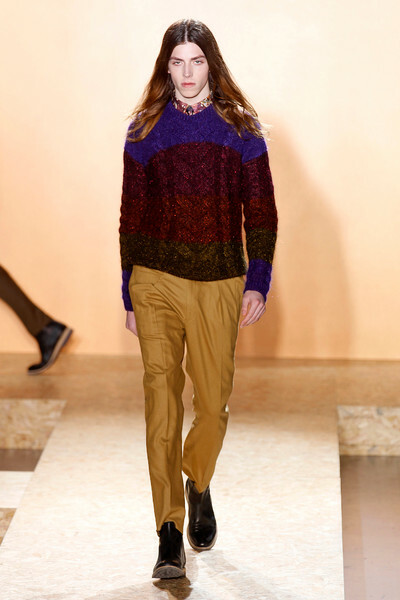 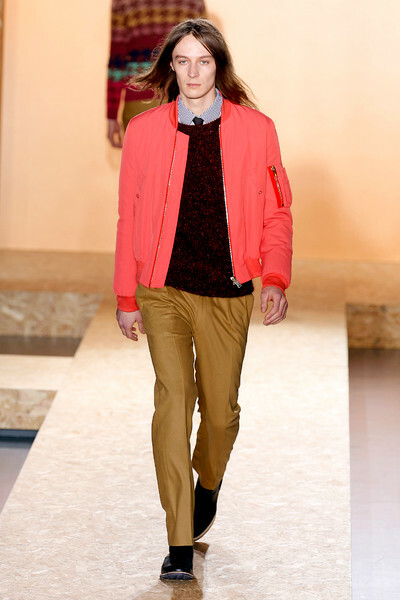 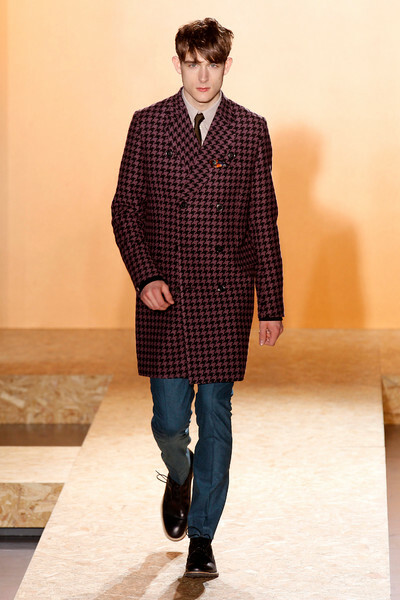 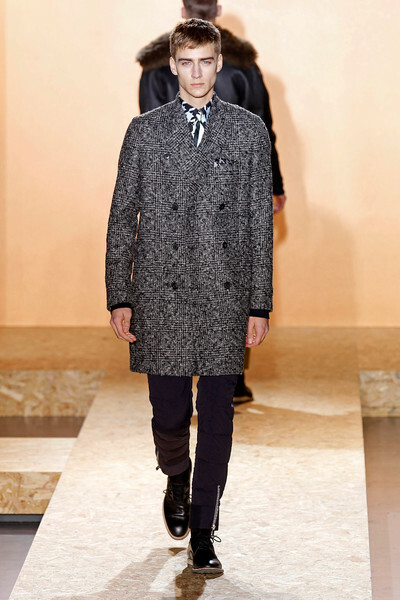 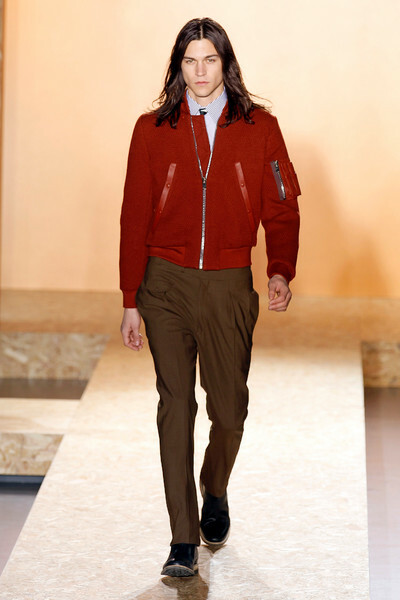 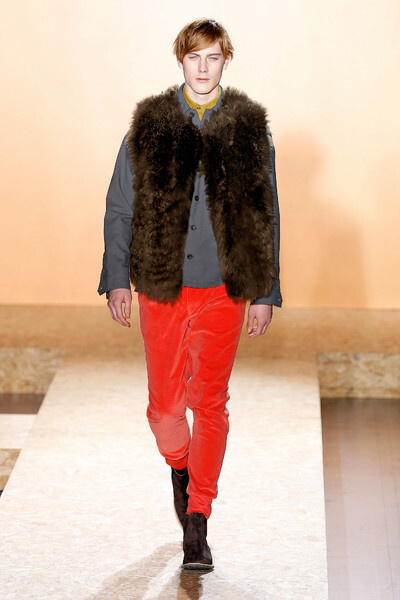 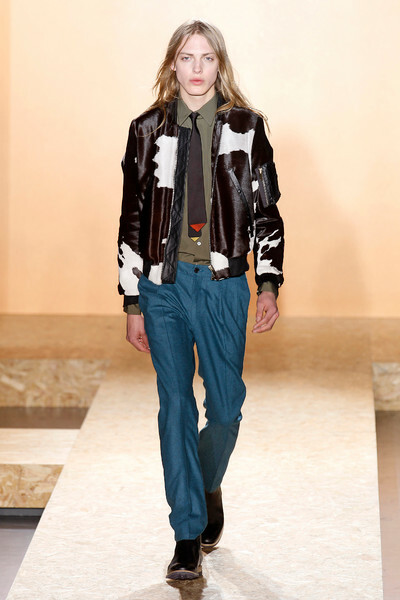 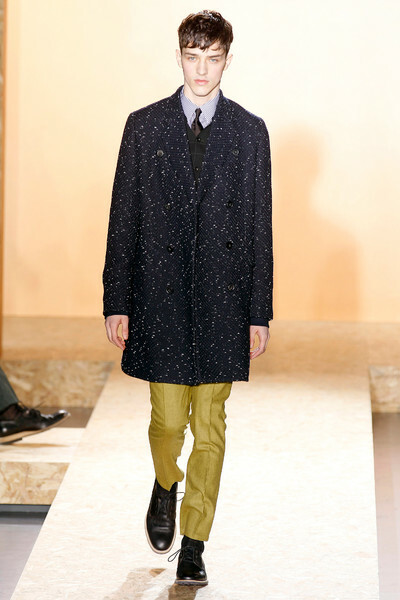 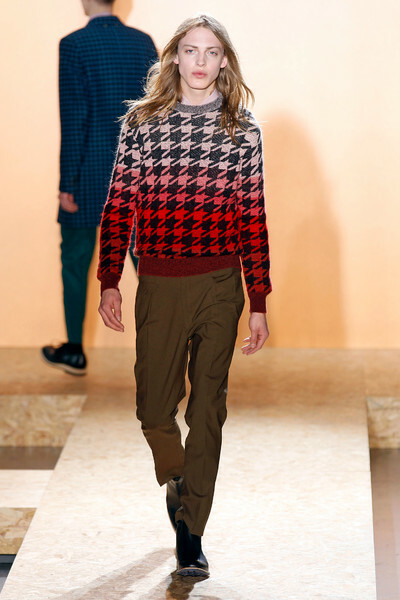 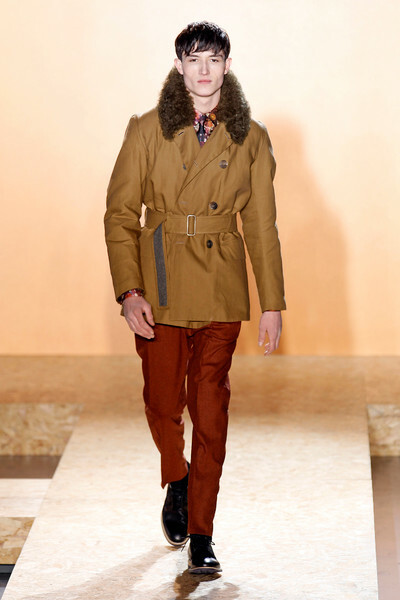 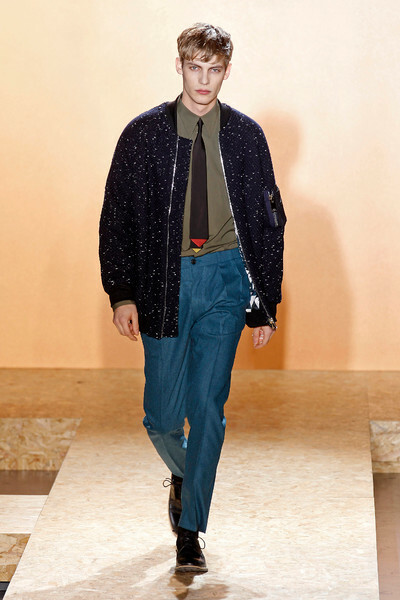 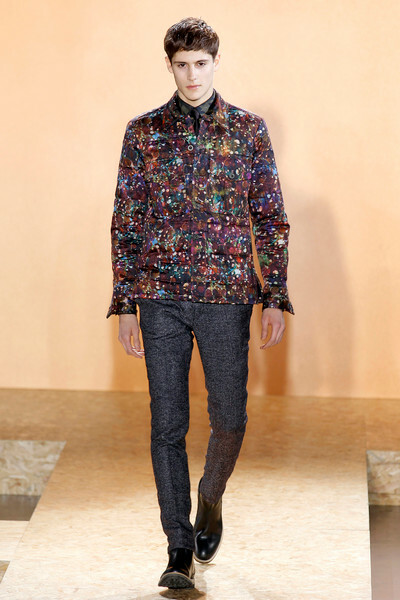 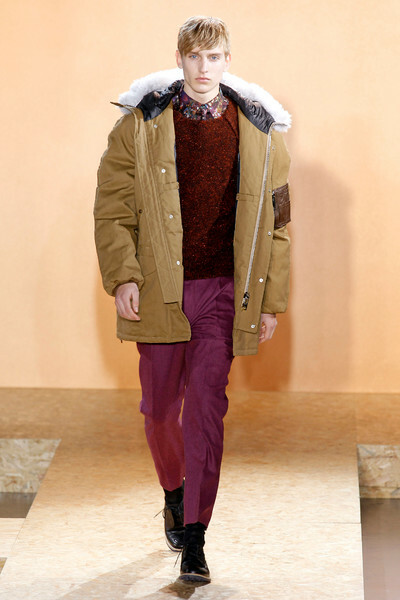 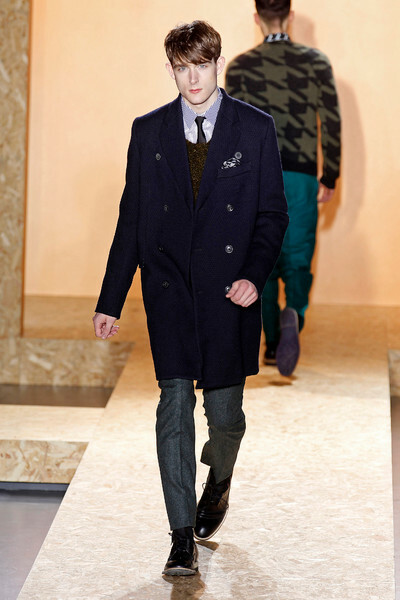 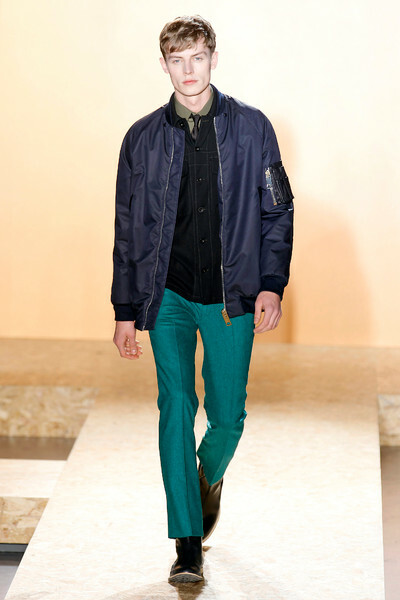 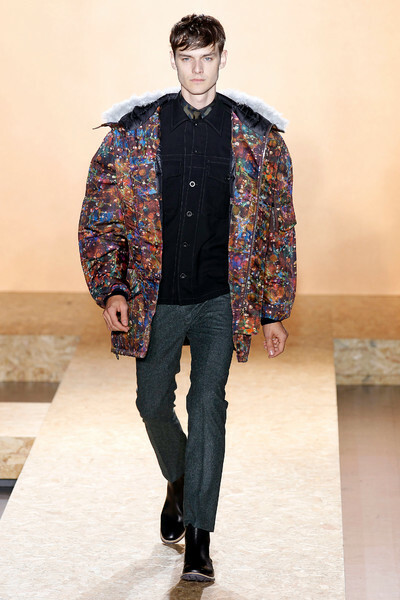 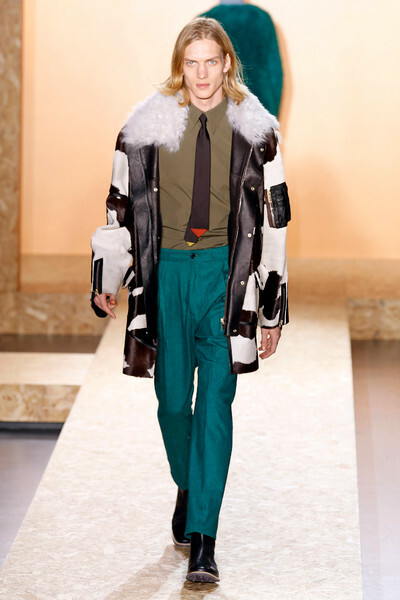 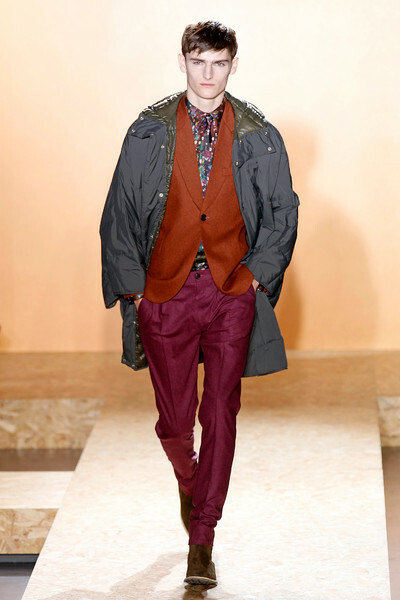 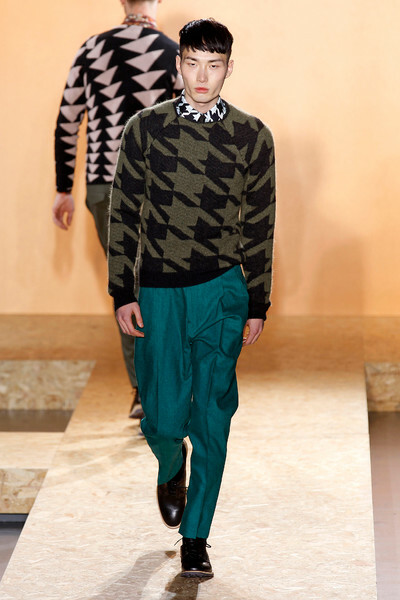 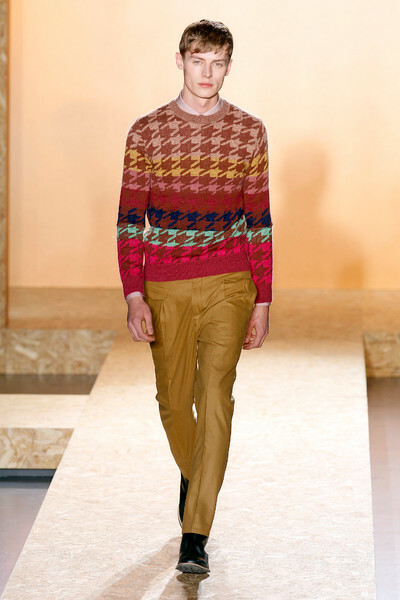 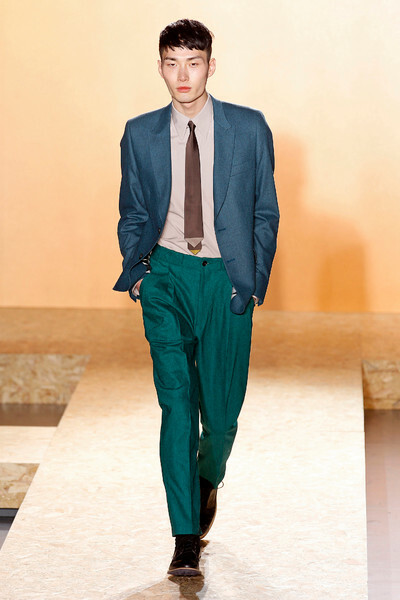 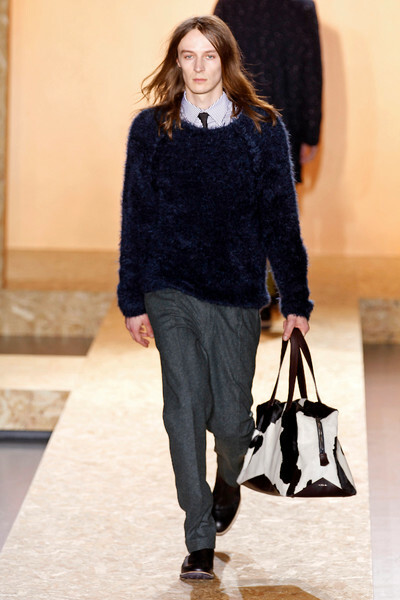 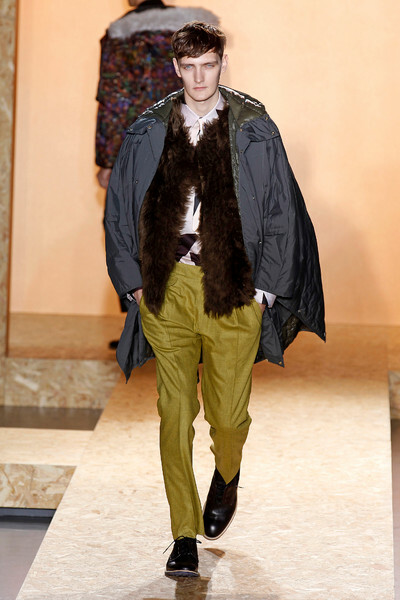 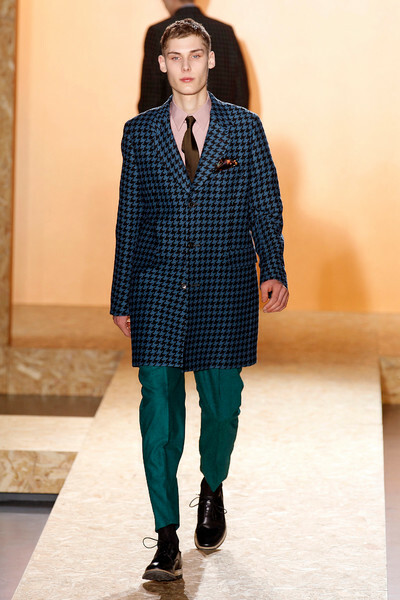 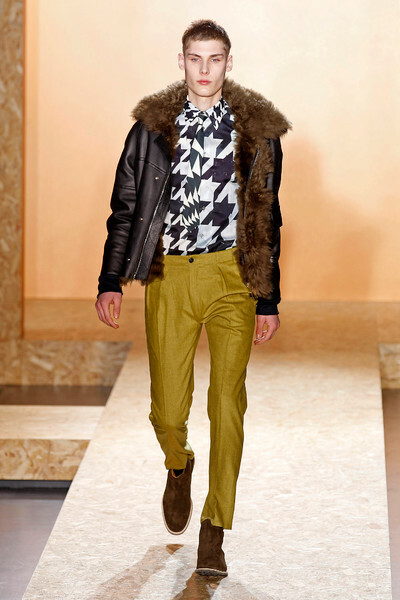 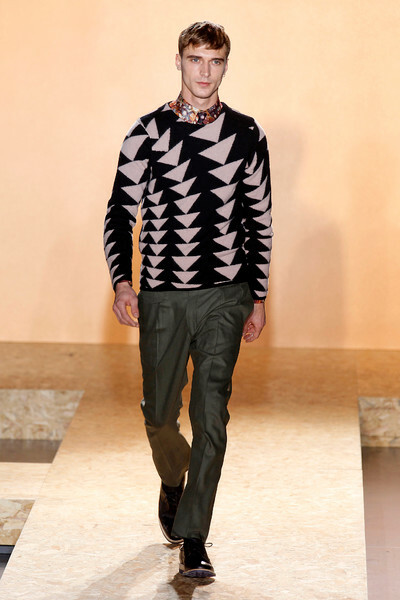 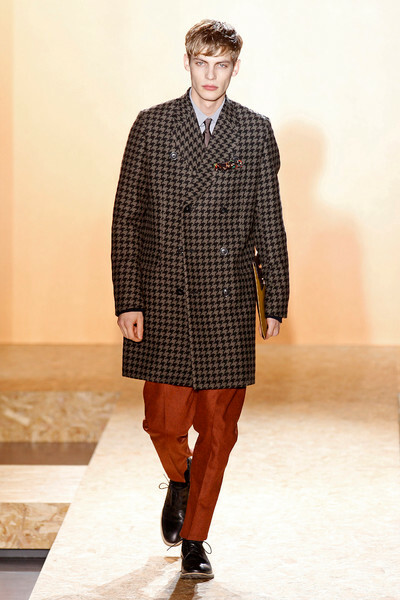 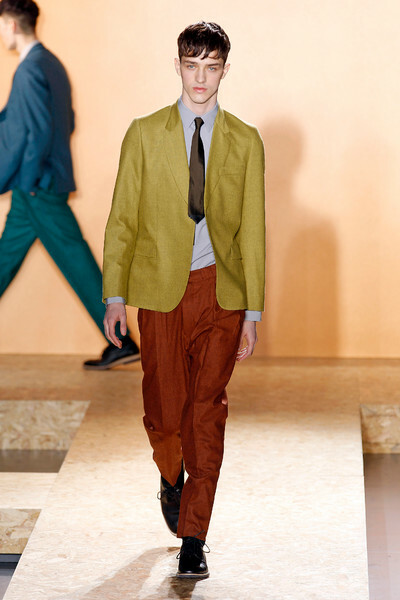 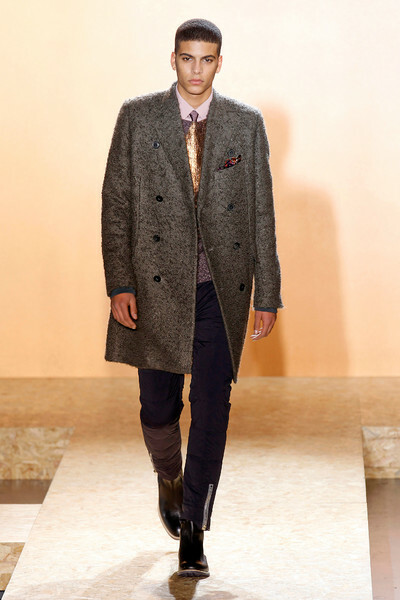 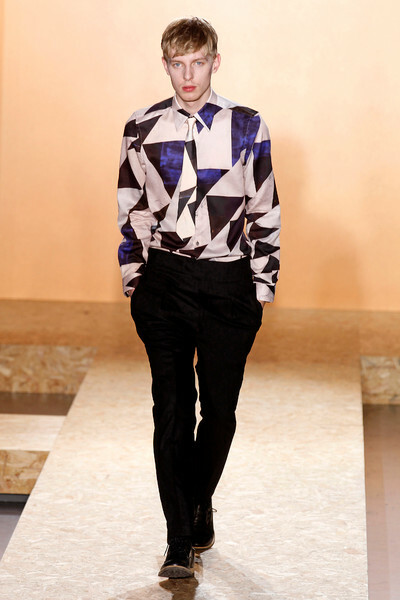 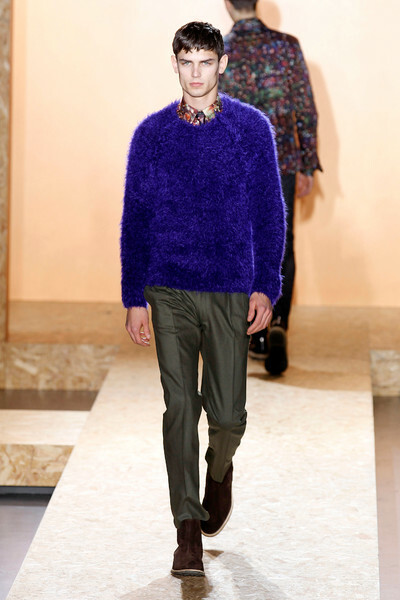 Paul Smith proved even prints and bright colors fit perfectly for an autumn collection. 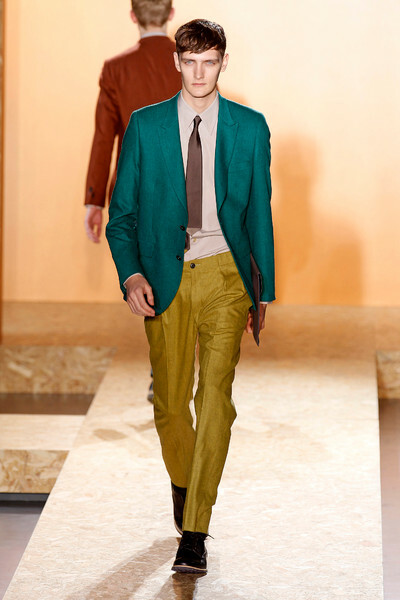 He showed suits in shades of mustard, red, flamingo pink and turquoise. 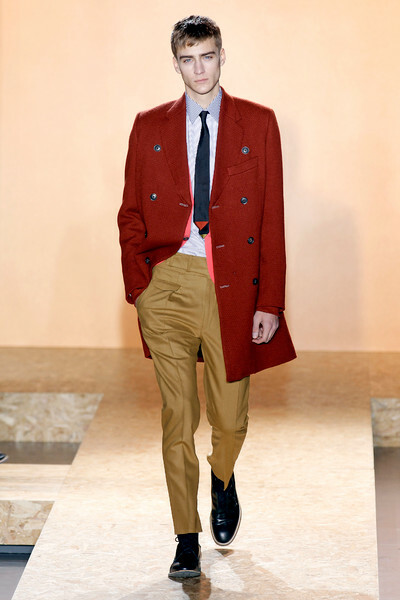 Pairing a red pair of pants with a mustard jacket and combining different shades of blue in one office look. 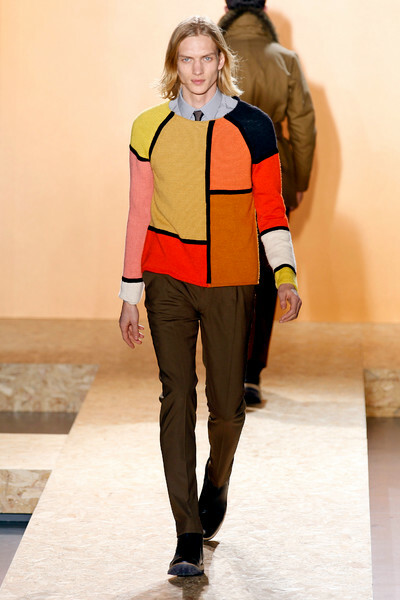 He introduced multiple colored houndstooth sweaters, a single Mondrian inspired creation and psychedelic prints popped up on a shirt and a winter coat. 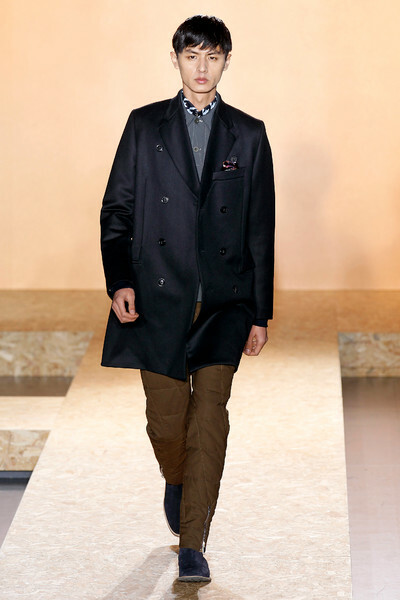 Models looked both confident and comfortable in the perfectly cut menswear designs. 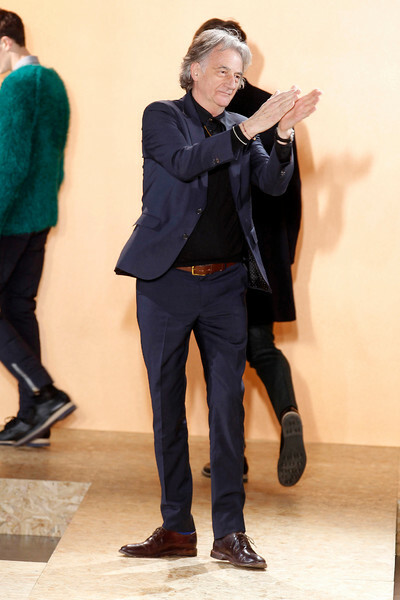 Sir Paul Smith’s ever growing Asian fan base won’t be disappointed and neither are we.